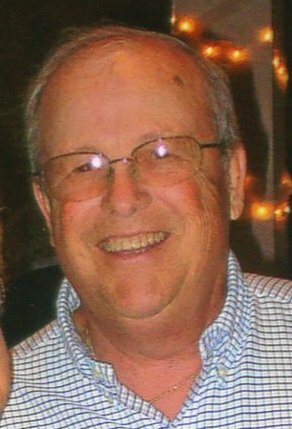 Robert L. Linkenbach, 79, of Fremont, OH passed away on March 23, 2018 at his home. He was born on November 23, 1938 in Clyde, OH to Gordon and Edna (Ball) Linkenbach. He was a 1957 graduate of Bellevue High School. Robert married Sylvia M. Widman on May 14, 1960 and she preceded him in death on November 29, 2012. He was a sales executive for Gordon Food service for over twenty-three years earning numerous awards for his achievements in sales until he retired. Robert was a member of Sacred Heart Catholic Church. He loved the outdoors and enjoyed hunting and fishing. Robert and Sylvia traveled extensively in their retirement years. He also enjoyed golfing and had a true love for his community. In retirement Bob devoted 17 years to Fremont Memorial Hospital as a volunteer. Robert is survived by his daughter, Lisa (James Christopher) Aiello, Sandgate, VT, grandson, Robert Christopher Aiello, Sandgate, VT and many nieces and nephews. He is preceded in death by his parents; wife, Sylvia Linkenbach; infant daughter, Laura Lynn Linkenbach; siblings, Donna Valko, Eileen Humes, William, Donald and Sandy Linkenbach. Visitation: Wednesday, March 28, 2018 from 9:30 to 11:30 a.m. at Sacred Heart Catholic Church, 550 Smith Rd., Fremont, OH. Mass of Christian Burial: Wednesday, March 28, 2018; 11:30 a.m. at the church with Fr. Chris Kardzis officiating. Blessings on your heads and hearts in this loss and all the grief that undoubtedly surrounds you. Your dad and grandfather’s unexpected and sudden death makes this time so much more difficult. My love always and future support as needed. Great job my sweet cousin. Love you and see you soon. Edna Lynn..
Hi Lisa, I knew your dad from his time as a salesman for gordan foods. I owned Little Italy in Fremont. I seen him every week propably for over ten years. I really liked him very much and am sad to see his passing. He was my favorite salesperson. Wishing you well at this sad time. So sorry to hear about your Dad. Your parents were wonderful people and so much fun, we will certainly remember the good times we had with them. Keep your memories close to your heart. Lisa, I worked with your dad at GFS and had many memorable times with him and I’m truly sadden to hear of his passing. My wife Deb and I really cherished the wonderful times we enjoyed with both your mom and dad. You were very fortunate to have such wonderful and loving parents. You and your family have our heartfelt condolence. We are out of state and will not be able to attend the funeral but please know that our thoughts and prayers are with you and your family. Lisa and family, our deepest sympathies in the passing of Bob. We will be out of the area and will be unable to attend the services. May your memories be a comfort to you and your family at this difficult time. Mike and I had the privilege of being Bob and Sylvia’s neighbors for over a decade. We loved them both and will cherish the memories we have with them. We are deeply sorry for the loss of your dad. Bob was a wonderful, caring man with a great sense of humor. I am sad we will not see him again, but I am happy he is with the love of his life, his dear, sweet Sylvia. May he rest in peace. May God be with you and your family during your time of grief. Our thoughts and prayers are with you on the passing of your dad. Lots of great memories, funny stories and genuine affection for your mom and dad. He is fondly remembered and will be sadly missed. I met your dad several years ago while walking my dog at Walsh Park. He was walking Shadow and we became friends while exchanging treats for our dogs, (he always had some in his pocket. Our conversations were short but over the years became good friends: usually meeting at 8:00 a.m. I always knew if the red truck was there I was in for some “ribbing” or jokes about my being late. He always had an easy smile and friendly laugh. Like “ships that pass in the night” I never saw him without his ball cap (usually OSU or Indians) and I honestly didn’t know his last name. I had a very good friend (Lisa Celek) who walked at the park faithfully every day and she and I shared an update if for some reason one or the other of us had missed seeing him. I was in Hilton Head last week and knew she passed away suddenly the day I left. I was looking for h er obituary on my return today and lo and behold, Bob’s was right next to hers in the Fremont Messenger. I was so shocked but my first thought was “they will have good walking buddies”. I met you once briefly when you walked with him shortly before you were getting a new “golden’. Bob loved his trips to visit you and was very proud of his grandson. You have my sincere sympathy and prayers. Bob was the epitome of a “gentle man. Lisa and family, So sorry to hear of the loss of your dad, I just found out today. My prayers are with you and your family. He will be missed by many.